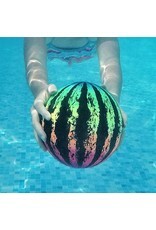 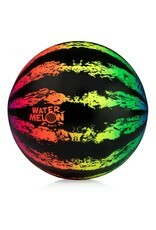 The ball that’s designed to look, feel, and behave like a watermelon in water! 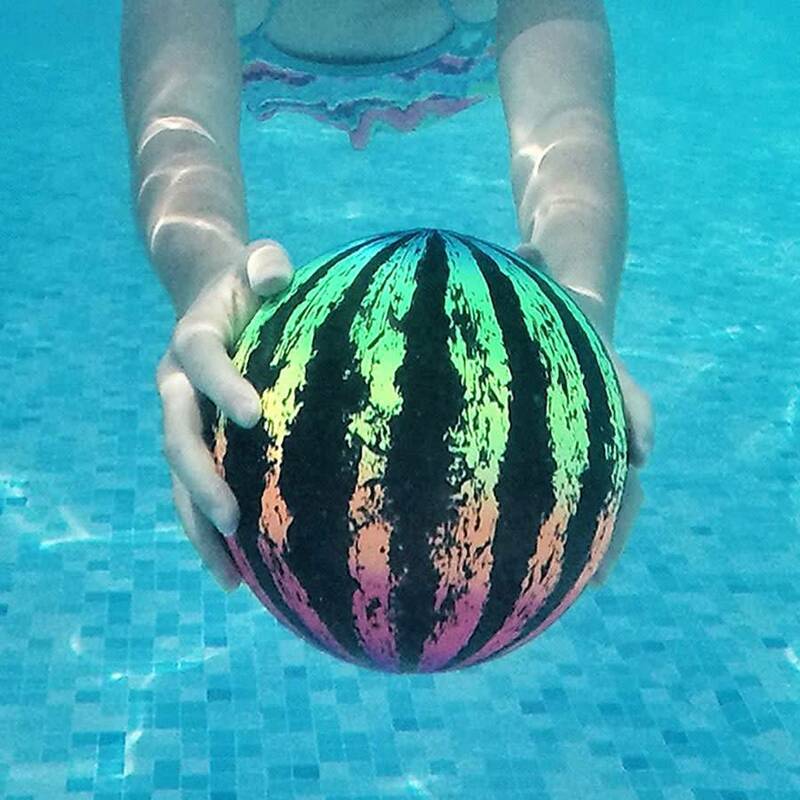 Unique and cool pool fun perfectly sized for kid-sized hands! 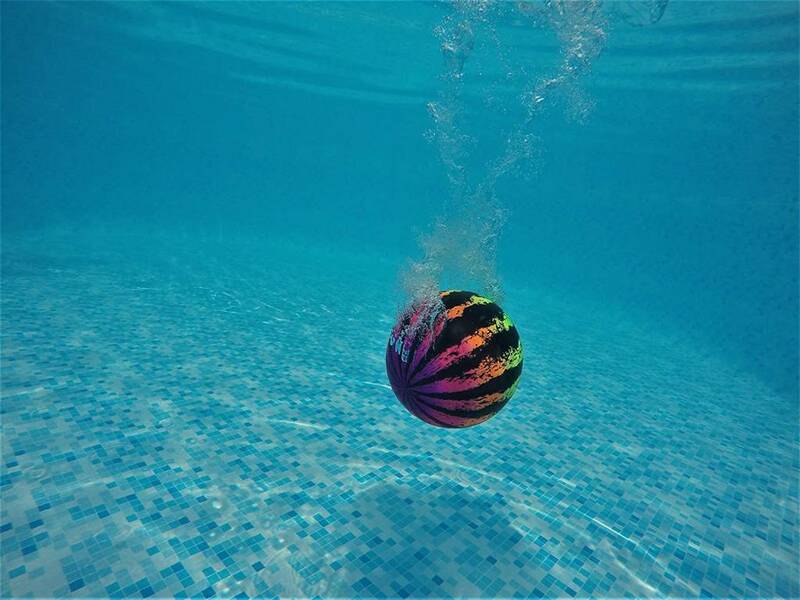 Fill with water, toss it in the pool, watch it sink, then slowly rise back to the top. 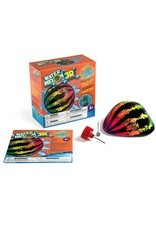 Play games that combine elements of football, basketball and rugby. 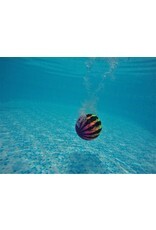 Dribble underwater, kick, bounce intercept, pass up to eight feel or bounce off pool sides. 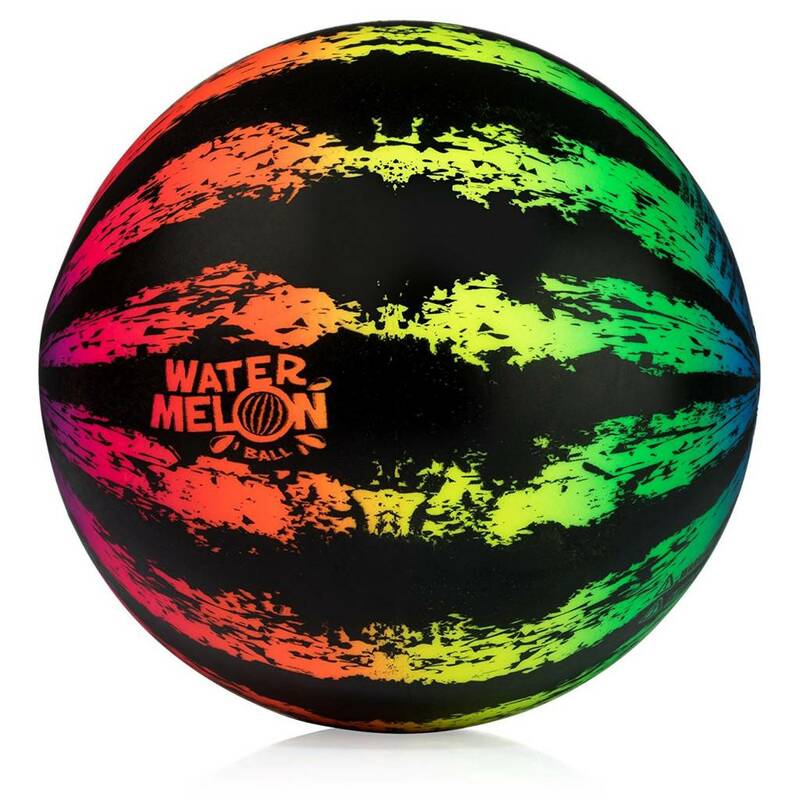 Originally the game of watermelon ball was conceived by a group of college students who used to play with real watermelons in a pool, but that got rough and pretty messy. 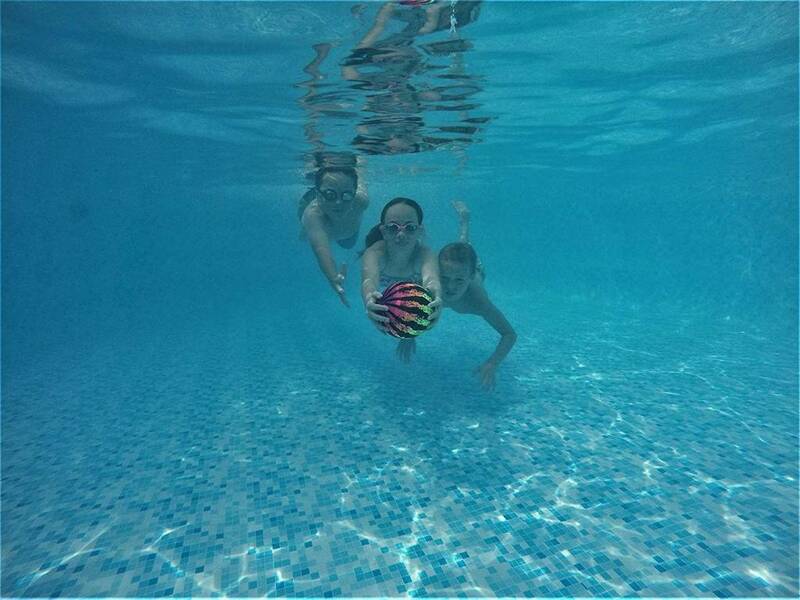 So one of them invented a durable ball instead to keep the group from getting thrown out of the pool. 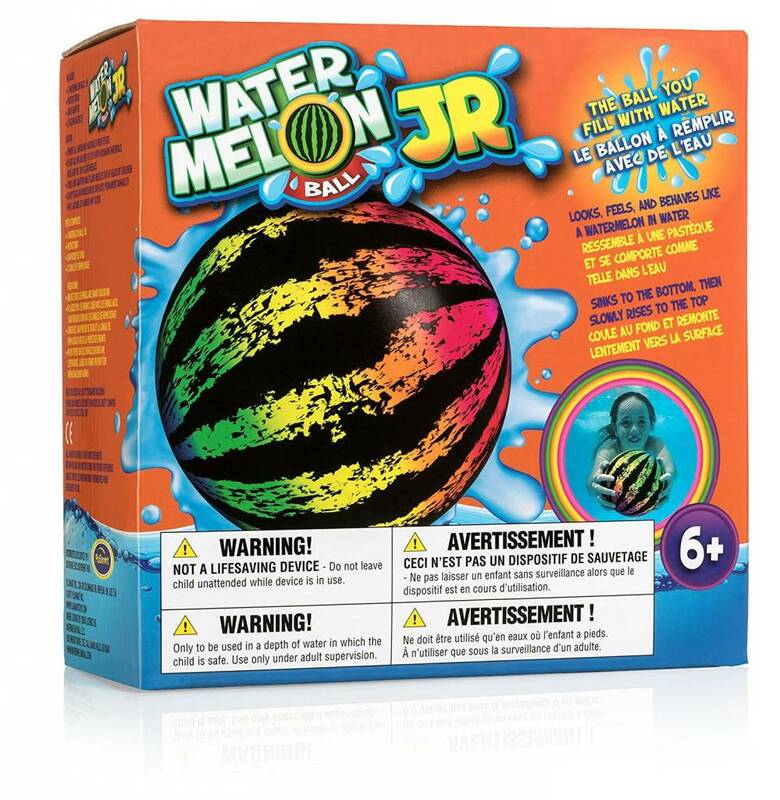 Weight when filled: 5 ½ lbs. 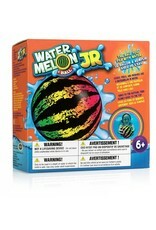 CAUTION: Children must know how to swim & be comfortable in the water. 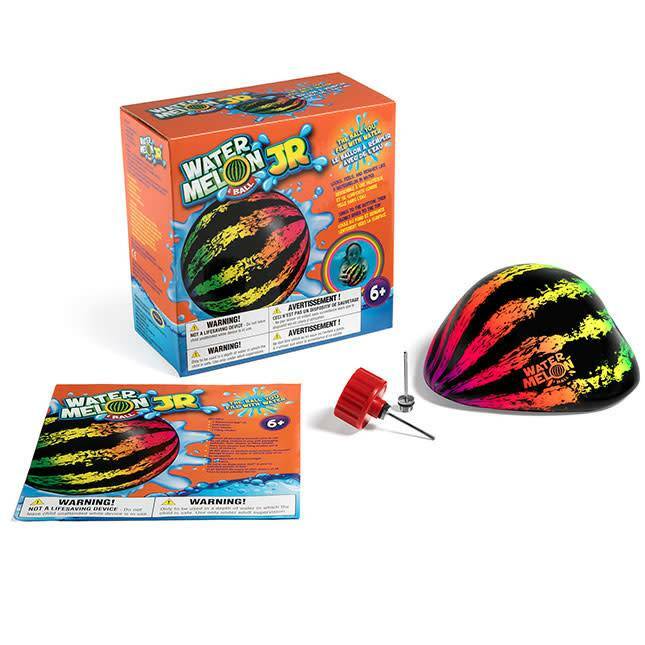 Adult supervision is required.